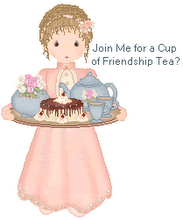 Do you have plans for a Valentine Tea? Japanese Sencha blended with rose petals and cher­ries-all the flavors and aromas of a spring orchard. to the beautiful Historic Boone Tavern Hotel in my hometown, Berea, KY.
to help work out the details of a grand hotel afternoon tea. This is the 2nd afternoon tea. during the spring horse racing season in Kentucky. Great job, Linda! This has been so exciting to watch develop and to see it become reality. The menu for the Valentine's Day Tea sounds simply perfect! How wonderful for you! I'm sure it will be a beautiful tea! Wish I lived near so I could attend. How wonderful for you. I just know everyone will be thrilled with this special tea. Now if I only lived closer. How exciting! You must be thrilled. Like the other ladies said, I wish I lived close by.